The real estate sector came second with $1.07 billion, making up 11 per cent of the total, while the wholesale and retail sector ranked third with $1.02 billion or 10.3 per cent of the total. South Korea retained its position as Vietnam’s leading source of FDI with $2.63 billion, accounting for 26.5 per cent of total investments in the country, followed by Japan with about $1.52 billion or 15.4 per cent, and then Singapore with $1.11 billion or 12 per cent. 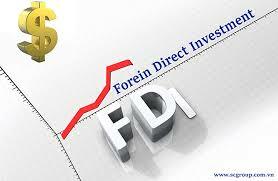 Among 53 localities, HCM City lured the largest FDI in the five month period, with $2.93 billion, accounting for 24 per cent of the total FDI registered in the country. The northern port city of Haiphong and the capital city were the runners-up with $1.07 billion or 11 per cent and $835 million or 8.4 per cent, respectively. According to the FIA, the foreign-invested sector posted a five-month export turnover of $66.7 billion, up 15 per cent year-on-year and making up 72 per cent of the country’s total export value. The sector’s imports also experienced a slight increase of 7 per cent to $52.85 billion. That meant it enjoyed a surplus of $13.81 billion during the period, the FIA said.